If you’ve ever thought about what it would be like to write a play befitting for your dad to to take on the lead role, The Dame by Katie Duncan, is a must see for inspiration. The father (and Dame in question) is Peter Duncan- a long shot away from his daredevil Blue Peter presenting which catapulted him to fame in the 80s. 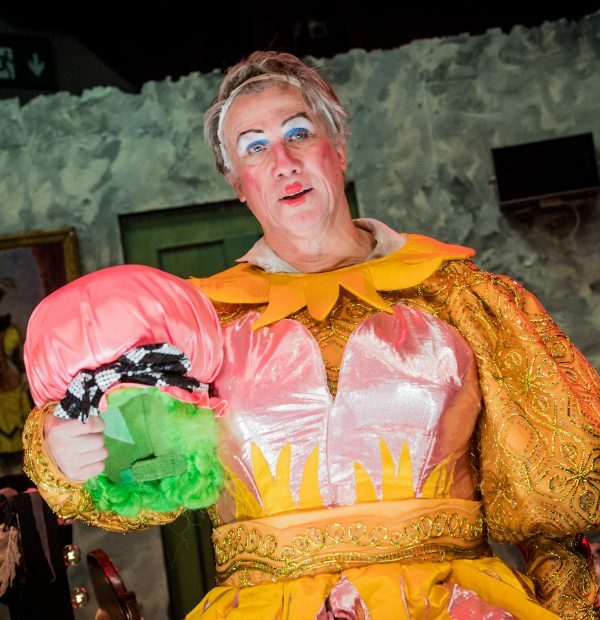 However his love has always been in acting, and he soon returned to treads the boards on stage- writing and producing several pantomimes and plays for theatre. 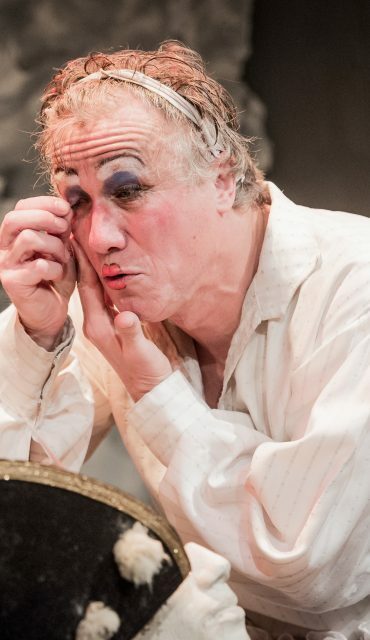 The Dame is his first monologue (shown originally at Edinburgh Fringe in 2018) and is a 70 minute tear-jerker, where the audience sits close enough to see his sweat and smell is greasepaint in London’s Park Theatre. 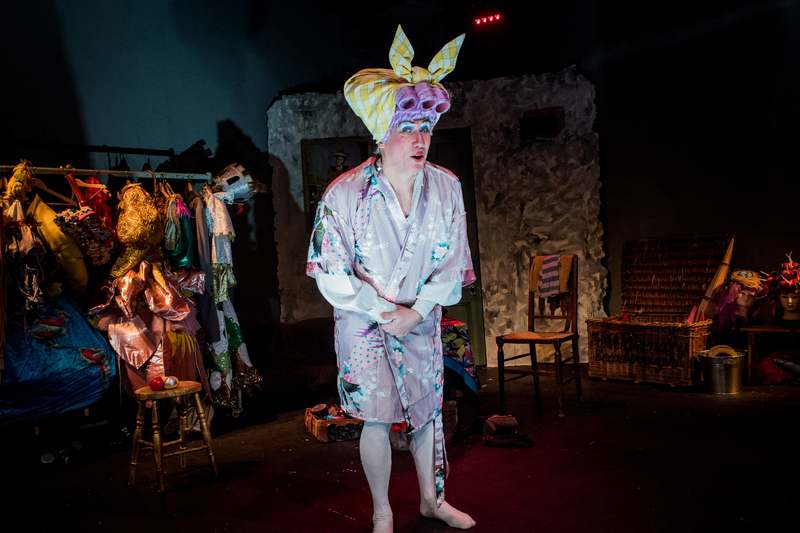 Slipping between characters – Punch and Judy, Widow Tanky even Charlie Chaplin, the real Ronald is seen when he doesn’t have his costume to hide behind. It can’t be easy slipping into so many personas in 90 minutes, but each memory is defined by costume, voice and action. 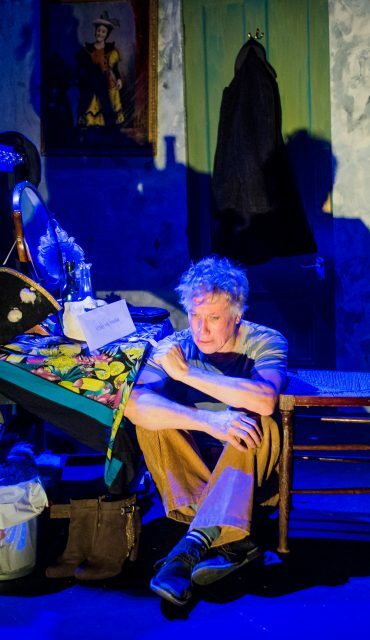 The past that has been contained in a bottle on the verge of explosion, pops its cork on stage, and the emotions as to how and why a 60 something has been is clinging on to his disguise and culminates in a soul-baring performance from Duncan. We learn about Ronnie’s own upbringing. His mother who deserted him and his abusive bully of a dad. But we are also left yearning as to whether he has ever been truly happy. However the play ends on a positive note, as he finally gets round to opening a letter which he presumed was from a fan; It is, of sorts and the outcome might be just the tonic that he needs to get him to focus on something else apart from the glory days of seaside theatres on the pier, where three shows a day in any weather was the only way to survive. 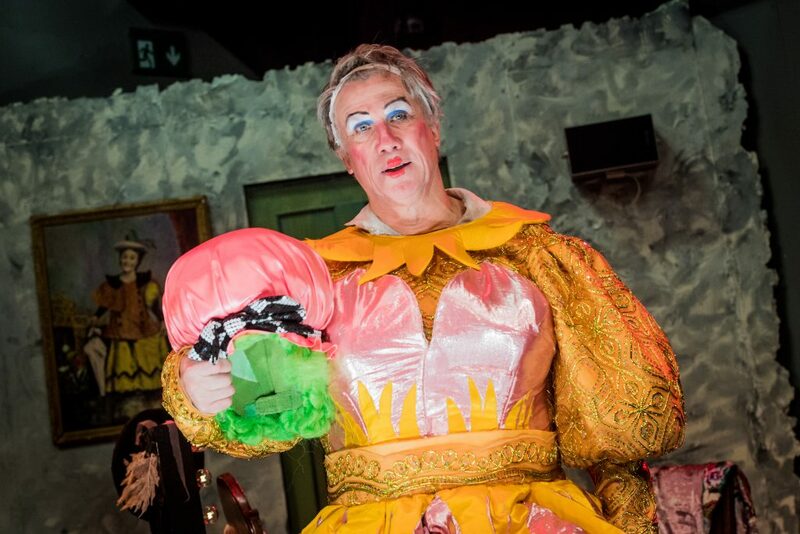 The Dame is on at the Park Theatre from 2 – 26 January 2019. Tickets are available at the box office or online.